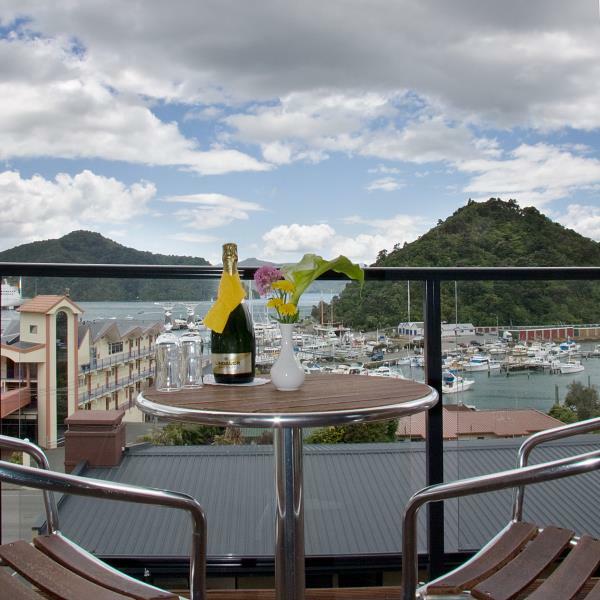 Our modern and spacious self-contained studio units sleep 1 - 3 guests and have amazing harbour views. The bedding configuration in our Deluxe studios is a king-size bed and a double sofa sleeper. 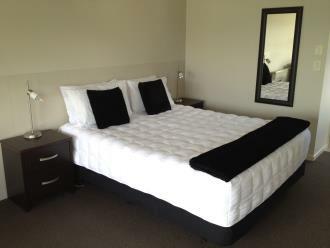 For your added comfort all king-size beds have an electric blanket. 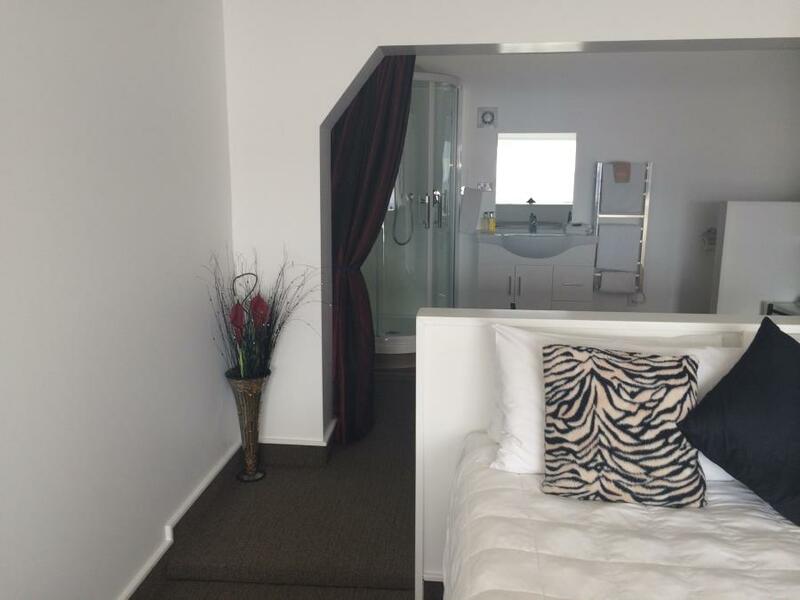 Each studio has a generous sized ensuite bathroom with shower, heated towel rail, heated mirror and hair dryer. Free car park for one car not far from your door. All our studios have a fully-equipped kitchenette including microwave, two hot plates, electric fry pan, pots, electric jug, toaster, crockery, cutlery, coffee plunger and 50 sky channels, etc. A range of complimentary teas, coffees & hot chocolate is provided for your enjoyment. Our modern and spacious two bedroom apartment located on the ground floor sleep 1 - 6 guests. The bedding configuration is a queen-size bed in one room with a queen and 2 x single beds in the other. Generous sized bathroom with shower, heated towel rail and hair dryer. Our apartment has a fully-equipped kitchen including microwave, four hot plates, oven, pan, pots, electric jug, toaster, crockery, cutlery, coffee plunger etc.